Accidents involving trucks are among the deadliest on the road, according to a National Highway Traffic Safety Administration report: In 2014, almost 4,000 people died and another 111,000 were injured in semi collisions. Trucks are the highest profile vehicles and tend to also be the heaviest when loaded with cargo, leading to injuries that are usually more severe than accidents with passenger cars. While the blame is often laid on unsafe or fatigued driving, another issue that commonly causes truck accidents is improper equipment and vehicle maintenance. Talk to an Ohio personal injury lawyer about some of these factors if you’ve been injured in a collision with a semi. Defective Brakes: Under certain circumstances, the only thing preventing you from a catastrophe with a 25,000-50,000 pound truck is its brakes. The exact figure of truck accidents due to defective brakes isn’t known, but estimates put the number at around five percent – making it absolutely imperative to keep brakes in pristine condition. The federal government sets standards for the condition of brakes on trucks, but not all drivers and their employers conduct routine maintenance checks. Plus, a proper check-up requires the attention of a mechanic who specializes in semi truck brakes, so a driver’s daily assessment may not reveal broken or loose features. Problems with Tires: You’ve probably seen the shredded strips of rubber left behind by a truck that experienced a blow-out, so you know how common tire defects can be. The tremendous weight of a truck requires proper air pressure to ensure maneuverability and even weight distribution. The driver is responsible for conducting daily checks for tread wear, sidewall integrity, and leaks, but – as with brakes – he or she may not identify issues. Truck companies are also responsible for ensuring their employees operate safe equipment. Their specialty mechanics must ensure that certain types of tires aren’t installed on the same axle, and meet federal requirements for tread depth. However, mistakes do happen, and even just one bad tire can compromise the safety of the entire vehicle. Improper Cargo Loading: The payload a semi is transporting can be a factor in truck accidents for a number of reasons. Proper weight distribution and securing the load are critical to ensuring cargo doesn’t come loose over bumps and around bends in the road. In addition to items falling off the truck and causing accidents, oversights during the loading process can cause the vehicle itself to malfunction. No matter what the cause, truck accidents can result in severe injuries that impact many aspects of your life. You may receive enormous medical bills, experience pain and suffering, and be unable to work. Fortunately, you do have rights under Ohio law and may be entitled to compensation for your losses. 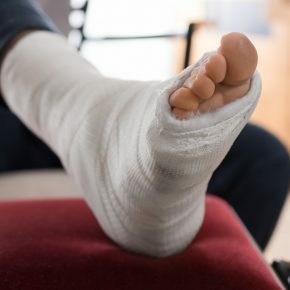 The experienced personal injury attorneys at Lafferty, Gallagher & Scott, LLC will fight for your rights after a truck accident, both in settlement negotiations with an insurance company and in court. Please contact our Toledo office to schedule a consultation, or with any questions about your case. 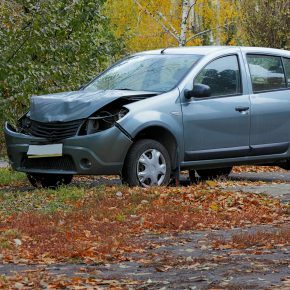 Should You Settle Your Ohio Car Accident Claim with an Insurance Company?